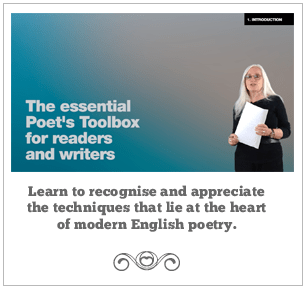 Enjoying the luxury of a real paper-and-print newspaper this weekend, I came across an article with the headline: “Mural supports English teachers’ favourite poet”**, and was surprised to see the piece was illustrated with a picture of Carol Ann Duffy. She may be the poet laureate, but I didn’t think she was that popular. Reading on, I think it must specifically refer to the teachers at Leeds West Academy where the mural in question was unveiled this week. The mural – which appears to be sort of woodcut calligraphic sampler – includes lines from Mrs Schofield’s GCSE, which Duffy wrote in response to the banning of her poem Education for Leisure from the GCSE syllabus a few years ago. Personally, I really rather like the earlier piece, which begins: “Today I am going to kill something. Anything.” but I’m not at all keen on the one which is featured in the mural. As I read, my attention was caught by the name ‘West Leeds Academy’. When I moved to Spain twenty-something years ago, I worked as an English teacher at una academia. I think the right expression would be a ‘private language school’, but the phrase is cumbersome, and it was really difficult to stop people translating academia as ‘academy’. are intended to address the problem of entrenched failure within English schools with low academic achievement. I mention this, because of a footnote to the story about the Duffy mural: the word ‘Caesar’ appears in the woodcut; it is spelled ‘Ceasar’. I notice that Duffy’s latest collection is called The Bees, and I wonder if, in their attempt to tackle the ‘entrenched failure’, English academies use such old-fashioned methods of teaching as spelling bees. Perhaps they are only used in extra-mural courses. I agree that the earlier piece isn’t as bad as the later, though I don’t like it. It’s always risky for a writer of modest ability to start mentioning the Big Names, and the implicit comparison in the later piece between Shakespeare’s plays and “Education for Leisure” made me laugh out loud. That’s not a regrettable typing error, that’s horrifying ignorance on the part of all those involved. I don’t deny having mental blocks about spelling certain words, but if I need to use them, I tend to check them in a dictionary. ‘Caesar’ ceased to be a problem when I connected it with ‘Kaiser’. Knowing how I used to hate making the first cut when I did dressmaking, I can’t imagine starting a project like that mural without checking it six times, comparing it to the original text, and asking others to do the same. Now I want to know how they will ‘correct’ it. That kind of mistake can’t exactly be tippexed over. I wonder if we can blame the ‘correctibility’ of the internet for encouraging a careless attitude? After all, if there are typos in this, I can come back and correct them and no one need be any the wiser. Perhaps the mural suffered the same fate? I can’t believe I never wrote a post about that, but it seems I didn’t. I don’t think either the mural or the road sign counts as a typo. I suspect both were products of ignorance, and I think that not knowing Welsh is rather more forgivable. 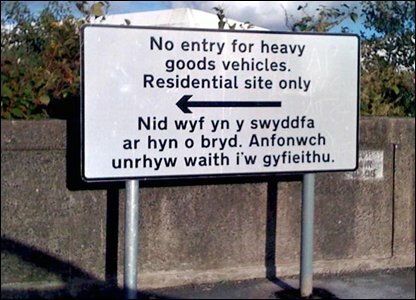 Of course it would have been simple to check the Welsh if they’d had any reason to suspect it might be wrong. Which again makes me blame internet habits and manners: clearly the guys who asked for the translation saw nothing strange about the fact they received a reply all in Welsh which they couldn’t understand – they must be used to getting incomprehensible messages and to people making no attempt to be polite.